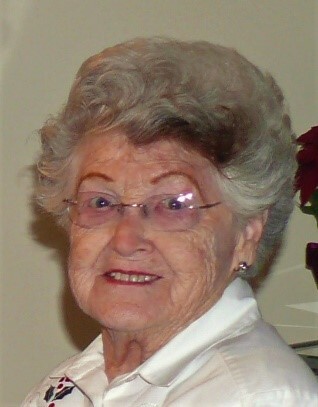 Norma Ann (Spirek) MacWherter, 94, passed away peacefully on the evening of January 25, 2019 after a short illness. She was preceded in death by her parents Charles and Elsie Spirek, sister Lucille Yunker, brother Charles ‘Bud’ Spirek and her beloved son Terry Scott MacWherter. Norma is survived by her husband of 73 years, George W. ‘Scotty’ MacWherter; Daughter Carol Eggert of Wadsworth; son George C. MacWherter of Cleveland; grandchildren Mandy Calvin (husband Jon and daughter Ava); Doug Eggert (daughter Avery); Cortney and Kelsey MacWherter in addition to her longtime friends. Living in Wadsworth for many years, she was an active member of the community. Along with another mother, she started the first Wadsworth kindergarten program at Isham Elementary School. She was a Jaycee Wife, volunteered at the hospital gift shop and served on the board of The Giving Doll. She also was a volunteer for Red Cross blood drives and election sites. Norma was always very athletic. As a teenager, she tried out for a traveling baseball team during the war. Despite being selected for the team, her protective father did not want her influenced by the older women so he would not allow her to participate. However, later in life she played on a women’s fast pitch softball team in Wadsworth. She was also an avid bowler. In addition to participating in many leagues, she volunteered to be a score keeper for the professional tournaments at Rivera Lanes in Fairlawn which allowed her to bowl with the professionals in the pro-am events. When Great Oaks Lanes open in Wadsworth, she became the assistant manager overseeing the pro shop and league development. She loved to travel with her family and friends. She spent a lot of time taking boating trips on Lake Erie and even venturing into Canada. She and her husband were members of the Skypark flying group. They flew on many trips across our country. Later in her life she took bus trips and overseas journeys to many parts of the world. Norma loved her grandchildren immensely and spent many wonderful hours supporting them at their various school and sports activities. She entertained them with games of ‘Uno’ and made sure to visit them as they relocated across the country. Norma will be remembered as a lively lady, seeming to always be joking with those in her presence. She will be sorely missed by those people who knew and loved her. She always felt she experienced a “wonderful life”. The family would also to express their sincere gratitude for the loving care she received from her ‘Family’ at the Inn at CoalRidge as well as the aid given in her final days by Hospice of the Western Reserve. There will not be a formal service. A graveside service for family members will take place on a date yet to be determined.